Soccer x Health = an Amazing Month at GOALS! June was a happening month for GOALS! First, we kicked things off with a signature Hand Washing Tournament in the Leogane community of Belloc. 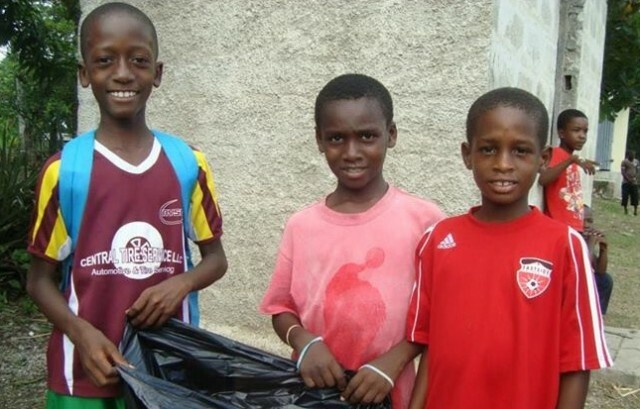 Just like at our annual October event for Global Hand Washing Day, the tournament combined health, hygiene and soccer to create fun ways to learn and play. This tournament was generously sponsored by the Latter Glory Church from Paterson, NJ. For pictures of the three-day co-ed tournament, check out our album! Next, our team hit the ground running for another mobile clinic in our most rural daily site, Destra. Destra is a fishing village without electricity, running water, paved roads, schools, or clinics. Access to healthcare is extremely low, and we are lucky to have an incredible partnership with the Klinik Lasante Leogane, funded by the Delaney Bay Fund, that allows us to address this community's needs through mobile health clinics, training seminars, supplies, and more. 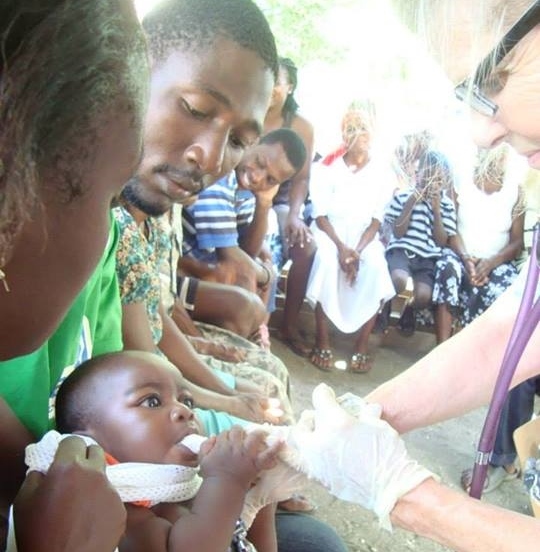 Thanks to the volunteer medical team staffed by InterVol, the clinic treated 157 people! To see more photos of our mobile health clinic at Destra, check out our album. Nadege's son, "Tonton," agrees - it was a great month! Last, but not least, InterVol and the Klinik Lasante Leogane created a first-ever three-day first aid training for our staff members and team captains. This unique opportunity was an invaluable investment in our team to increase their impact as community leaders to help even more kids in need. Stay in touch all summer long! As always, we love hearing from you! Check out our Facebook page and Twitter feed for fresh updates, new photos, and fun videos on a daily basis.